Hi All, lovely Friday here, blue sky, fluffy white clouds and sunshine. Beautiful. 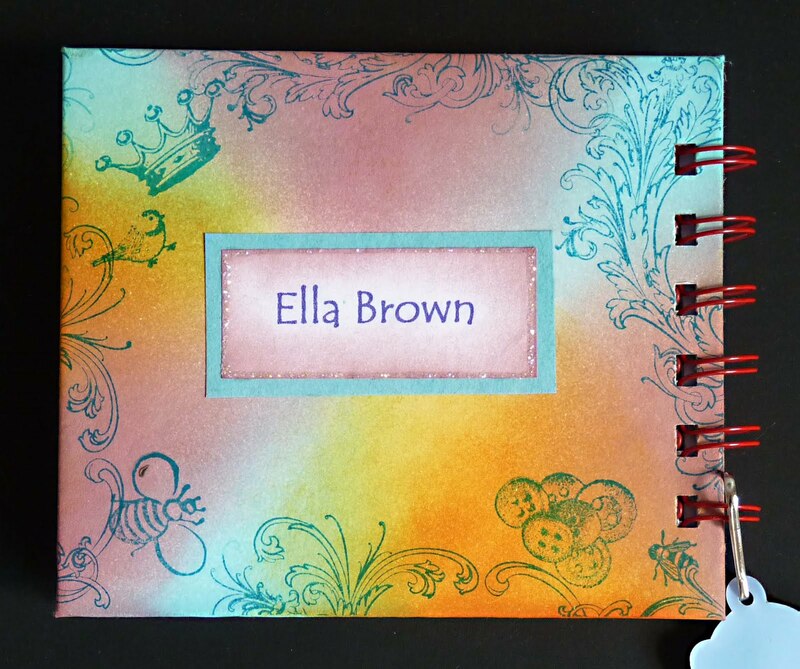 Well I wanted to follow up my workshop session and I already had in mind to make a card (not finished) and a notebook for my 4 year old grandaughter who is starting school next week. I can't believe those years have flown by so quickly, but she is only 4, bless her, but quite grown up in her own little way. So I have had fun making the covers using the same techniques as my tag book, adding a Maya frame painted with Eco-friendly acrylic paint then covered in rock candy crackle paint. I have used a freebie image from Frugal Crafter and coloured it using promarkers for the card, but here I cheated a bit and scanned it into the computer and re-sized it as the original was much too big. I covered it in glossy accents - but here I learnt a lesson - my copy paper is too thin really for the GA as the paper crumpled somewhat with the wetness. 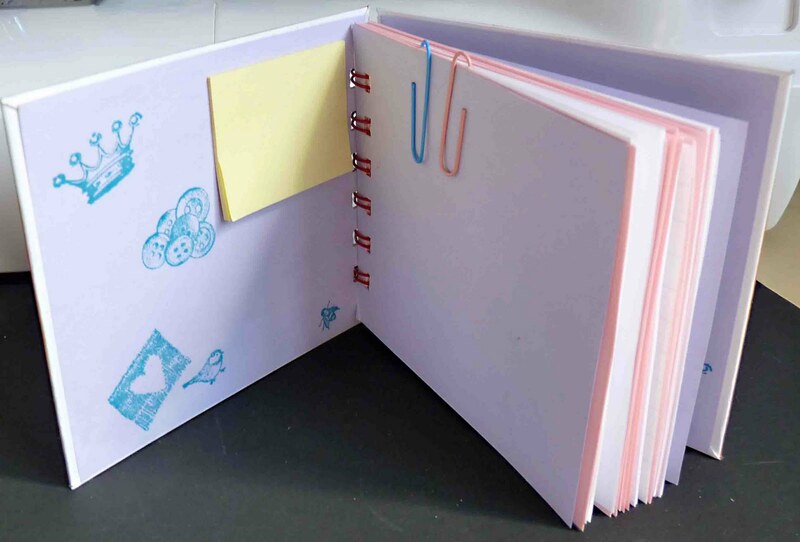 I have at last used my Zutter binder (had it for about 3 years - usually in my bookmaking I sew the pages) and I have added some paper clips and little sticky notes. 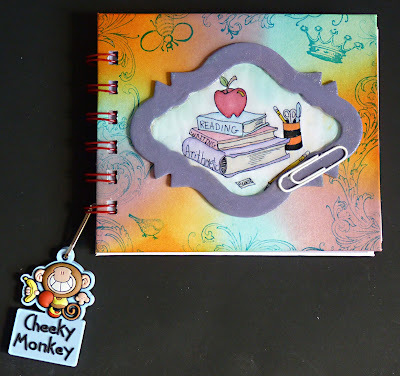 You will also note I have added a charm with her pet nick-name, cos that is what she is, Cheeky Monkey. Well I'm off to see my Mum and collect her shopping list. Hopefully I can get back to make the card later. Beautiful brenda, your granddaughter will love it I am sure. Love the colours. Amazing project. Brenda, what a wonderful way to get your little grandaughter off to a flying start as she starts school. All her little friends will want one. She is very lucky. That workshop has made me realise that I do need to buy a Zutter binder. Can't decide on the 'blue' or the upgraded 'pink'. very cute thanks for playing along with us at Crafty Ho! What a lovely little notebook Brenda, I'm sure your grandaughter will adore it. Fabulous job on this project! :) Thanks so much for joining us at Crafty Hos! What a cute back to school project! Thanks so much for joining us this week at Creative Card Crew! this is a gorgeous project, thank you for joining us at Stampavie and More. Oh this is so wonderful! 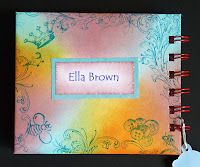 Thanks for playing along with Pixie Dust Studio Challenges! Such a lovely idea! Thanks for joining in at Simple Doodles - hope to see you again next time!